.. Where trends are a women's best friend. 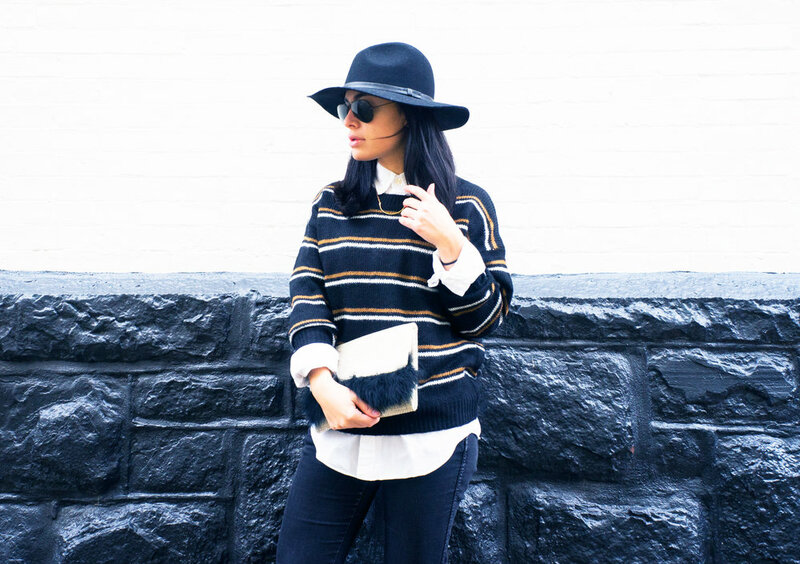 Today, I'm showing off my stripes with this Micro Stripe Sweater, from Shop Stevie! This adorable online boutique offers an array of trendy apparel including this new favorite sweater of mine. I stumbled upon this piece and immediately fell in love with the black, white, and chestnut color combo. 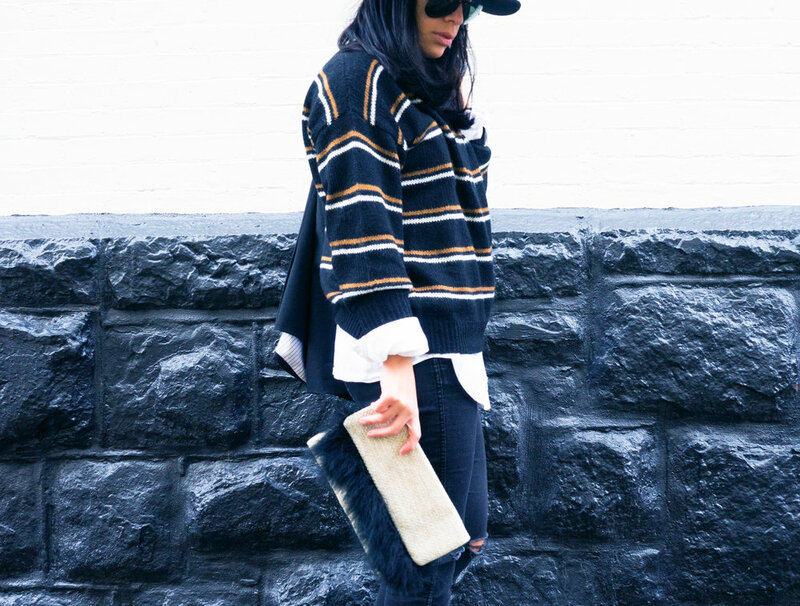 To accentuate the white stripes, I layered the sweater with an oversized white button down. And to match the chestnut stripes, I'm sporting my favorite pair of Aldo boots. Meanwhile, the clutch reflects my recent obsession with the fur trend that's been going on. This little beauty is from an Etsy shop called 94Diamonds. While the shop is currently closed, it'll be up and running again come December 18th just in time for any last minute holiday purchases! Best Trends For Life partners with several affiliate programs, which means commission may be earned on sales of purchases by those who visit this site and related social media platforms. All opinions expressed on Best Trends For Life are Priscilla’s own. She only promotes products that she truly believes in. Photographs featured on this website are the property of Best Trends For Life and permission must be obtained before downloading and using them. © Best Trends For Life. Designed and Powered by Squarespace.